I have tried washer pumps on alcohol, and they work fine. They fail instantly on gasoline !!!!!! Go to the pulsejet section and under blueprints you will find ( #17 )craftplane. The plans are for the pulsejet described by Mark, and are free for the downloading, so why pay for them on Ebay ??? A useful page from Hill & Peterson's book. Hill & Peterson. Mechanics and Thermodynamics of Propulsion page 193. The 1980 Alfa Romeo 2L spyder used a twin variable cam engine and was the first production car to use it. Honda then developed the V-Teck system. Can You go to the memberlist and eliminate all of the idiots with "0" posts. There are pages and pages of these " members " who obviously have nothing to contribute to the forum !!!!!! 1/8" x .020" wall tube type 304 ss is P/N 8989K12 under $10 / 6feet. They carry a full range from hypodermic tubing through sanitary pipe. 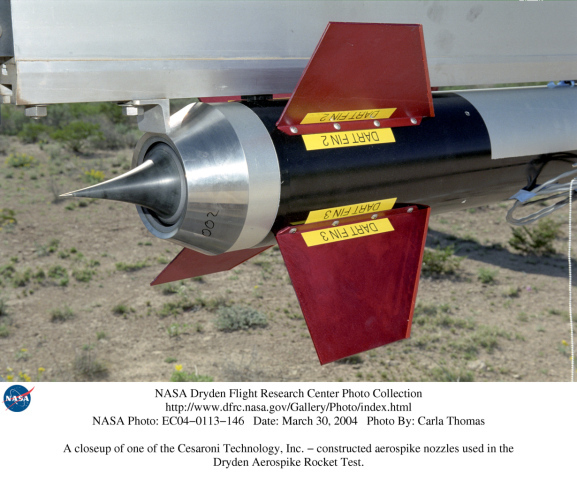 The name is " aerospike "
The EIA -RS-279 color coding is an excellent idea ! Check this one on Ebay. $429 with !/2 the usual warrenty. I would say that it will be a lot cheaper to get El-Kablooey to send it to You than to use paint. Silver automotive paint with the appropriate thinner works well, but is expensive. I would try a paint supplier, and ask for aluminum flake that is used as a pigment for aluminum ( silver ) paint. buy some aluminum paint and wash the resins out by using an appropriate solvent. Wippe also means balance, which is more descriptive of the mechanism described.